Who Got Shot Of J.R.? “If you f### this up you’re really an idiot,” Kobe Bryant once told Julius Randle in his rookie year. Turns out it wasn’t Julius, but the Lakers who would be the real idiots, f###### this all up. 45 points, 11 rebounds and 6 assists. I don’t mean to go on about this but DAMN! A career-high 45 points, 11 rebounds and 6 assists. That’s MVP numbers right there. And that’s just the kind of king season Julius Randle is having. I mean right now the Lakers should probably trade their whole roster for this New Orleans Pelican and not fellow Kentucky ‘cat Anthony Davis (who was out last night in the 122-110 loss to the Portland Trail Blazers. Probably with “load management”). But I know who most Lakers fans would love to trade him for just to get this guy back. But after bringing the King to Hollywood this Summer, Magic and the Lake Show didn’t think they needed to match the restricted hustle and muscle of Randle, who they are sorely missing in their palette dry paint this season. Despite pleading from the coaching staff, President Johnson and his Hollywood agent of assistance let both Randle and the big man from downtown Brook Lopez (who is really affording more with the Bucks alongside…Pau Gasol of all underrated and underappreciated Laker greats) walk. All because the thought the former Heat talents of Michael Beasley was enough on a team of McGee, Stephenson and Rondo vets behind the young core that really are now turning into a meme. Remember this is the same Magic man who traded All-Star…ALL STAR D’Angelo Russell because he didn’t think he was a leader. As the purple and gold Lakers faithful now have no sleep watching him in Brooklyn as he LEADS the Nets. This is the same Magic man who after offering his whole future to the Pelicans for a free agent to be with desires to come here for nothing (at least before all this drama and disloyalty really showed him something), will soon surely watch the legendary likes of Lonzo, Ingram and maybe even Kuzma and Josh Hart walk when they’re free to go, after the way they have treated them. Because like it’s been shown before time and time again in Laker history (I would name every example, but then I would be naming every other player not called Kobe), there is no price on loyalty. But there is one to pay when you treat these teammates like a commodity and not the individual assets that they are. There’s only so long someone treated as bait will let you off the hook. Magic Johnson may be the greatest player of all-time in my opinion. In some ways even more gifted than the other M.J. He could affect a whole game and result without even scoring a basket. But now he’s really playing. Effecting the whole team and franchise whilst trying to make a point. Just how long will he last running this s### show. Remember how long he lasted when he was actually a coach? And he wants to fire Walton?! 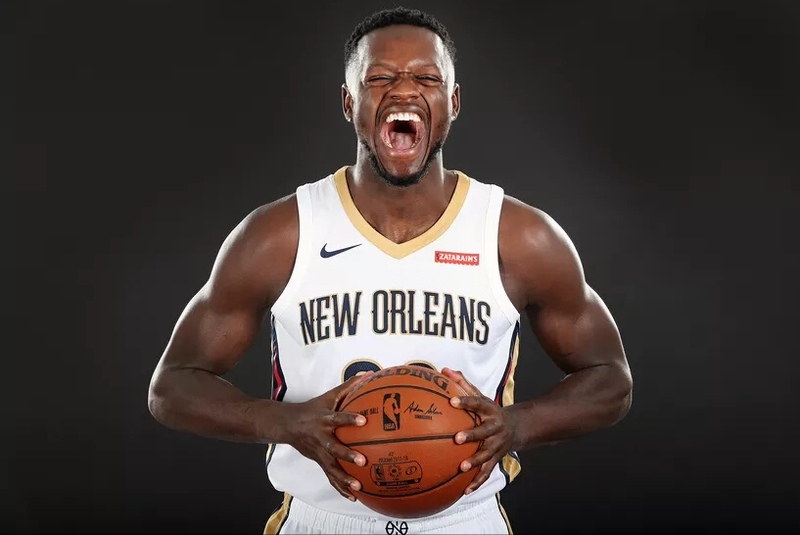 And soon the likes of Ball and his boys will end up All-Stars like Randle will too. The Lakers need to make sure that they do this in purple before the Lake Show turns into the ‘Lame Show’. As once the gold goes out the crown, the Lakers legacy will be down to the hands of more than one legend. A legend they could have had in Russell and Randle. With guys like they have now and the ones they also shouldn’t have let go. Like Jordan Clarkson, Larry Nance Jr., Thomas Bryant and Ivica Zubac. Paul George would have been a better fit with all these core guys. But the Lakers didn’t even really need him either. With all due respect to the King and the next chapter in storied Lakers/Celtics history, the NBA tried to build, both these iconic franchises and their great expectations have imploded this season. Ones of win big now or else, manifest destiny over pure personnel development. The real rivalry of the future would have been the lottery pick rebuilds of the old young Laker and the history-making right now Philadelphia 76ers. Look at the stakes they have now. There’s a reason they call it a process. Still, the Lakers loss is the flying Pelicans gain. And even if they do lose Davis they have a big future in the big man Julius. 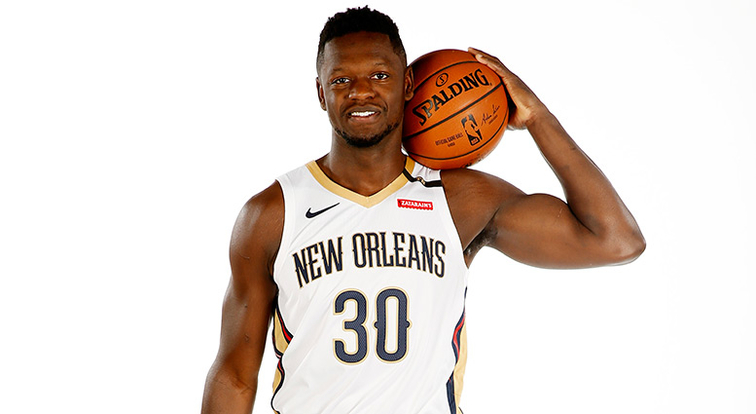 And if New Orleans do end up taking half the Laker team for him, maybe along with Julius Randle it will all end up being the Basketball Gods master plan in the karma (it all goes around like a basketball spinning on your finger) of showing the Lakers what they could have had and won in the end. How many stars of future fame will Magic’s Hollywood let walk? Sometimes you can’t handle the truth Jack. And that is Julius Randle. Must Read: No Show? Paul George Strikes A Deal With The Thunder!